After spending the past six decades in pieces, the National Air & Space Museum’s unique Heinkel He 219 Uhu night fighter will soon be complete again, reports Richard MalloryAllnutt. Museum staff have now finished conservation work on the wings at the Paul E. Garber Restoration Facility in Silver Hill, Maryland, and they are now being prepared for the 40 mile road trip to National Air & Space Museum’s (NASM) Udvar-Hazy Center in Chantilly, Virginia. The restored fuselage and engines have been on display for several years at Udvar-Hazy. Once the wings arrive, they will first go inside the Udvar-Hazy’s Mary Baker Engen Restoration Hangar to receive the last touches of camouflage paint, after which the long-awaited reassembly will begin. The NASM Uhu, Werknr.290202, served in the closing stages of WWII with Nachtjagdgeschwader 1 in Jutland, Denmark. 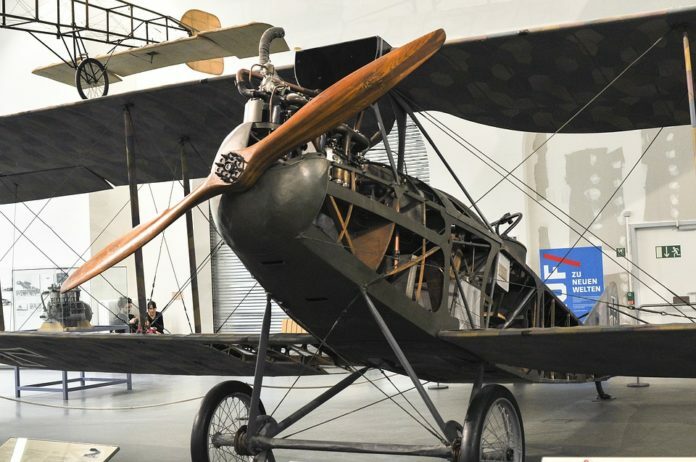 When the Allies moved in, they selected this airframe for testing and flew it to Cherbourg in France for shipment to the USA aboard HMS Reaper along with nearly two-dozen other Axis aeroplanes. The US Army Air Force evaluated ‘202 at Freeman Field, Indiana, but had finished with the aeroplane by early 1946. Somehow it survived long enough to wind up in storage as part of Paul Garber’s nascent National Air Museum collection, in Park Ridge, Illinois, the forerunner of today’s NASM. At the start of the Korean War, in June 1950, there was a mass exodus of airframes from Park Ridge, with the majority being dismantled and shipped east to the Washington, D.C. area. The Uhu arrived, in pieces, and lay more or less undisturbed until NASM began the restoration about ten years ago. The final missing piece required to complete the Uhu is a set of nose-mounted FuG 220 radar antennae. The original unit disappeared soon after the machine arrived in the USA, but NASM recently received an authentic set on loan from a European museum, and will replicate a duplicate from these components. As reported in the Autumn 2014 issue of Aeroplane (page 6), NASM has started moving sections of Martin B-26 Marauder 41-31773 Flak Bait from Silver Hill to Udvar-Hazy. During early August, when museum staff rotated the recently arrived wings around the leading edges to place them on a shelving unit at Udvar-Hazy a large lump of steel fell to the floor. It turned out to be a piece of flak that had worked itself loose from one of the many patched holes in the old bomber. The machine, which flew 207 missions – more than any other American bomber – has more than one thousand patched holes, so the find is a fascinating reminder of how this old warrior gained its name.